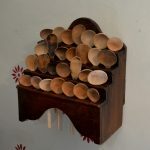 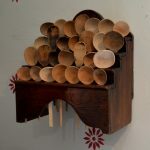 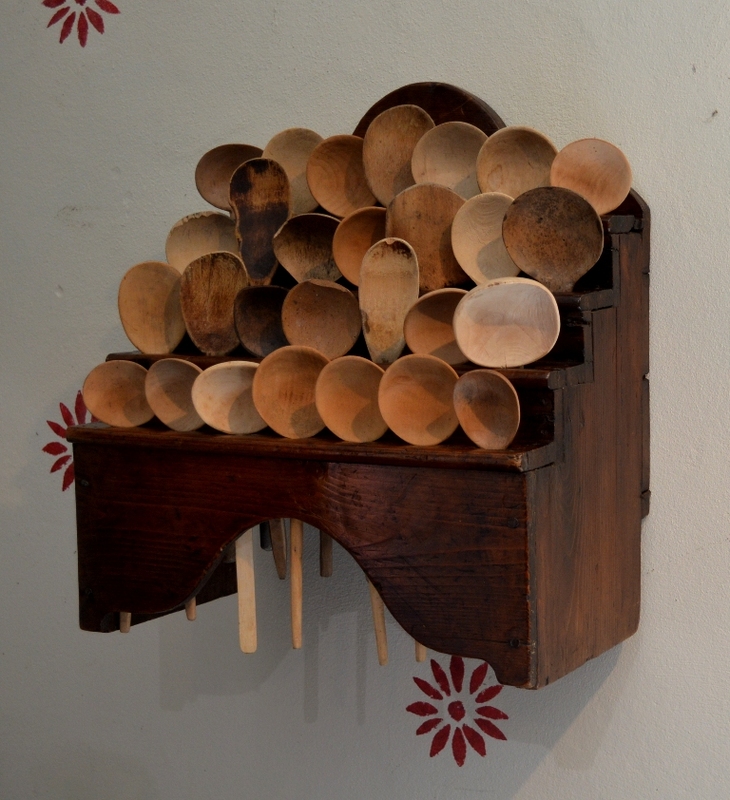 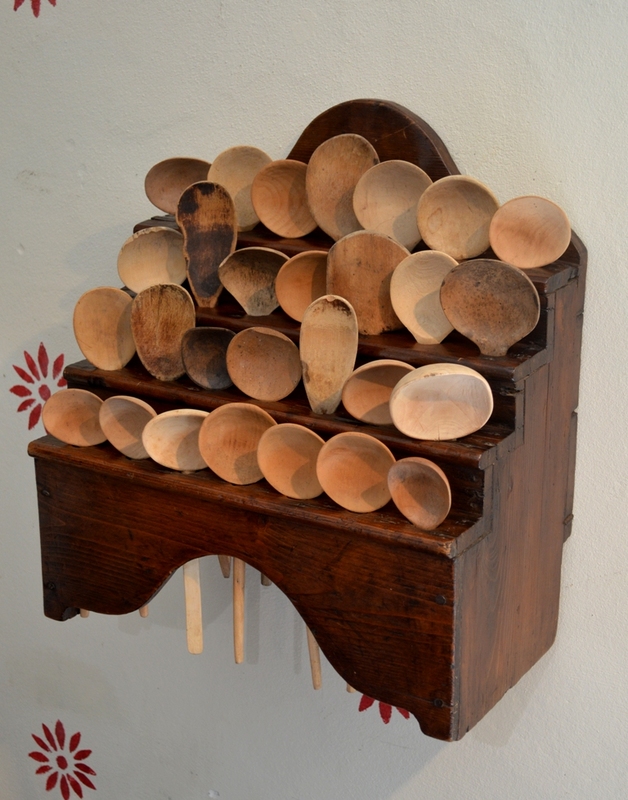 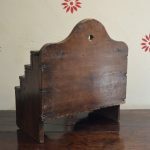 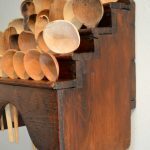 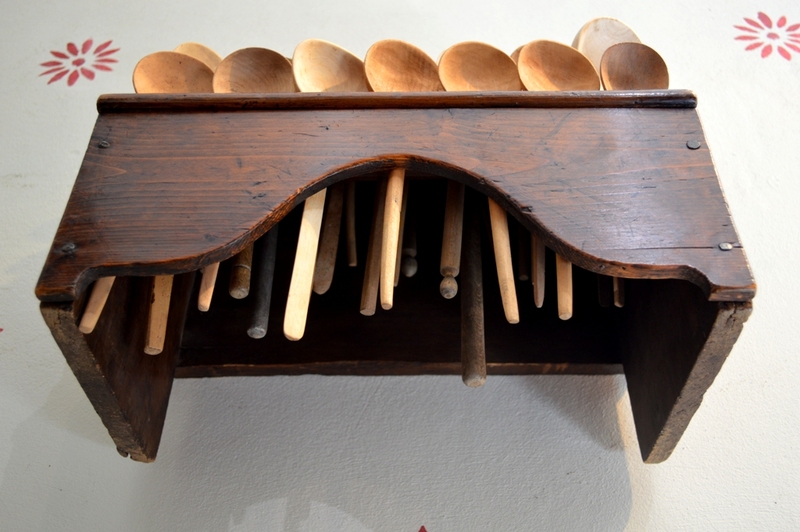 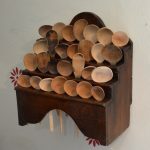 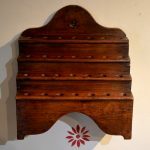 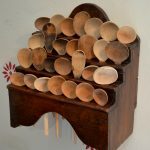 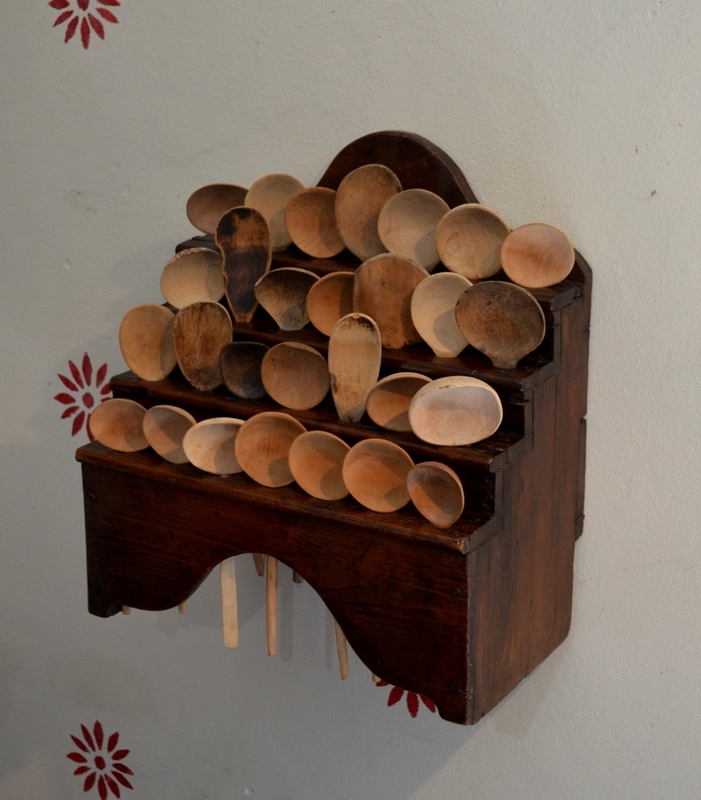 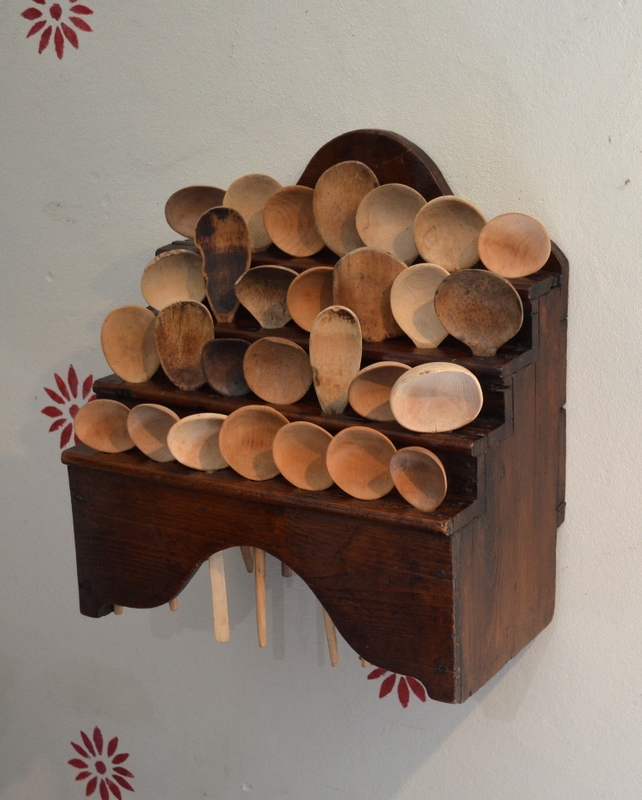 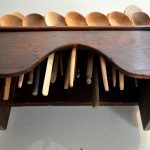 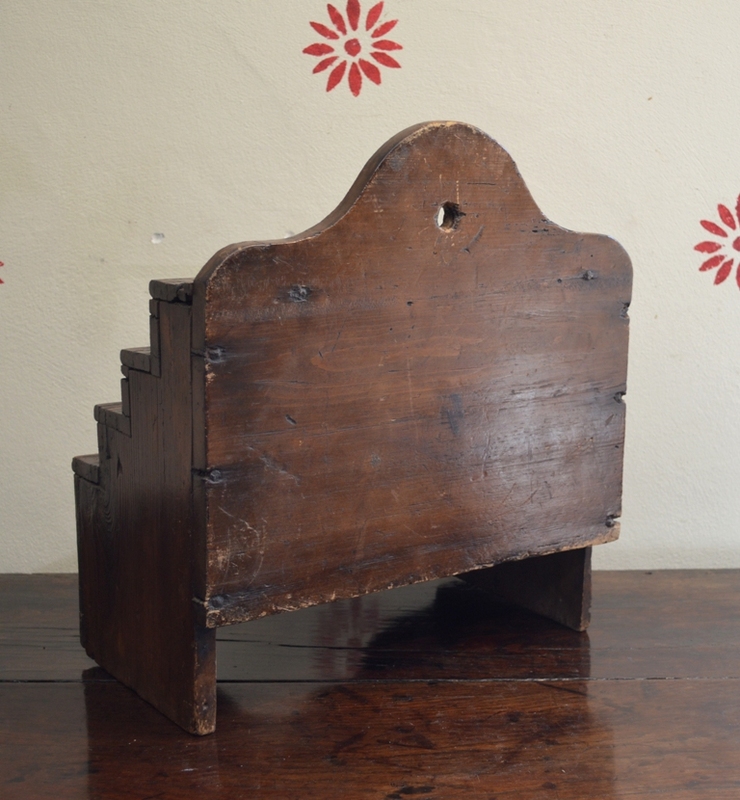 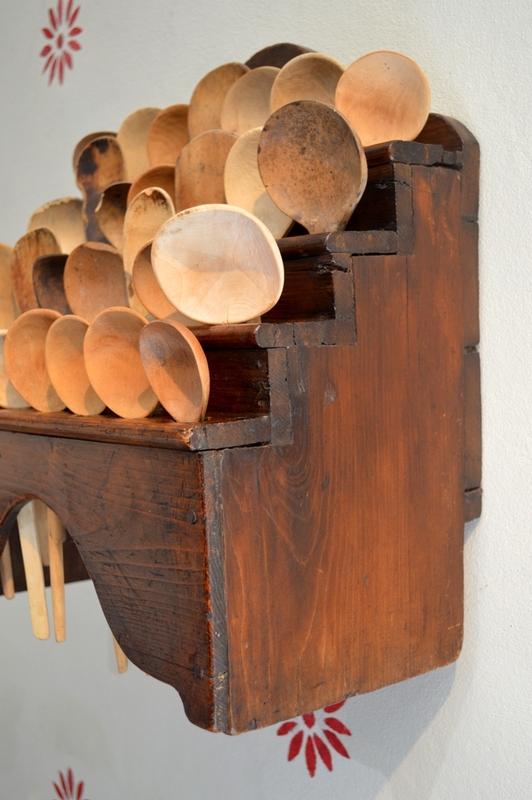 A good 19th century four step Welsh spoon rack and a collection of 28 hand carved vintage wooden spoons. 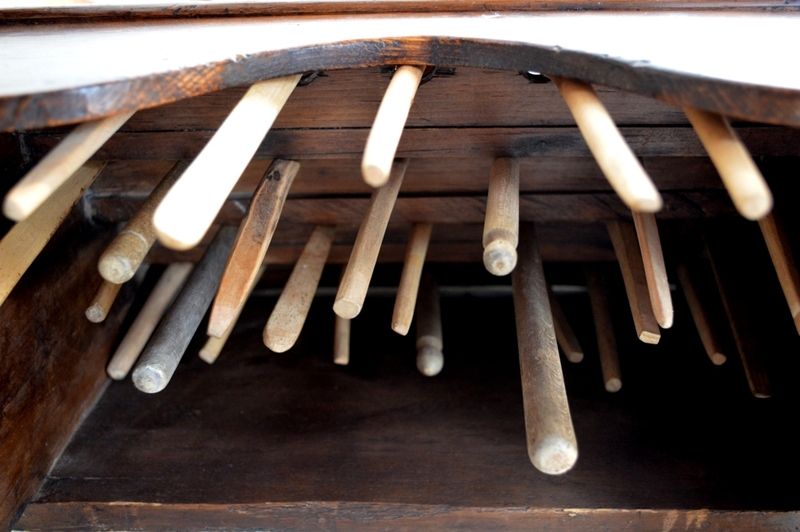 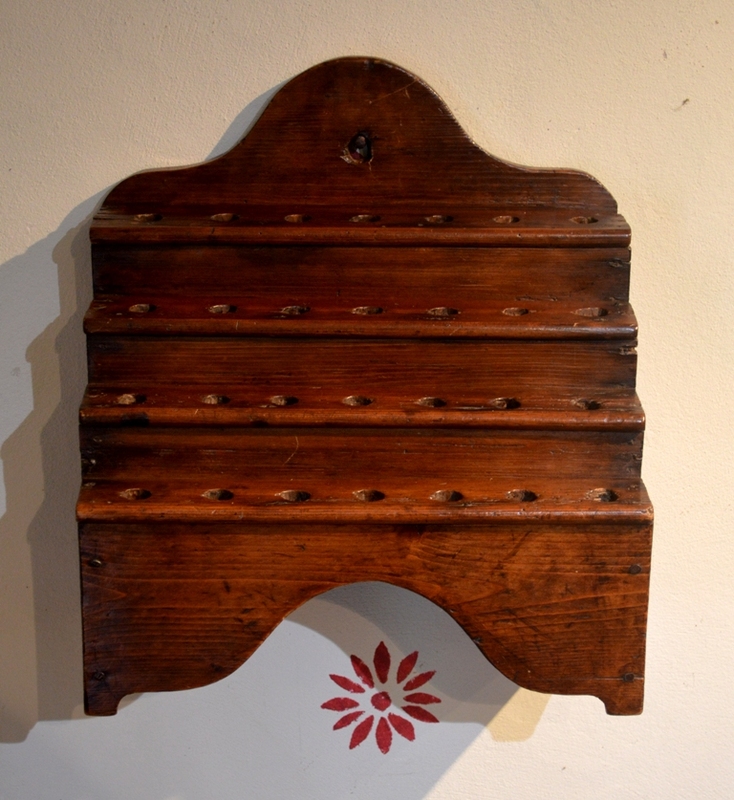 The rack is made from pine with a good nut brown colour and is well polished. 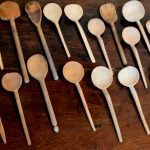 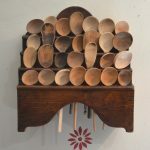 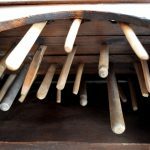 The collection of spoons are made from beech or sycamore and some show signs of use and have great character.